In addition to my normal blog entries, I am going to include a more specific feature in "Talk From The Rock Room". This feature is called, "Put The Boot In". I will use this monicker to introduce different field recording and bootlegs that have made their way to the Rock Room. Endless musical artists have a plethora of live, studio, demo, and rehearsal recordings available for those willing to search. Bootleg recordings are generally for the fanatic and the completest, but they are also for the general music fan who wants an intimate and unguarded view of the artist. I will use these entries to recommend and reflect on the recordings I am currently enjoying. I cannot assist you in getting these recordings in anyway. But if you ever make it to a "rock night" at my home, I'll be more than happy to hook you up! Playing today in the rock room is a collection by Cat Stevens called "9 Lives". This recording is a pristine soundboard of Cat's demonstration recordings made at London's Morgan Studios between 1970 to 1971. 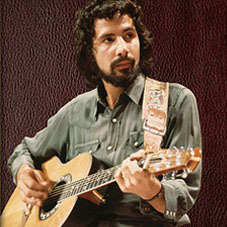 For those not familiar, this era is when Cat Stevens defined the singer songwriter movement. He was creating and releasing career defining LP's like "Tea For The Tillerman", and Teaser and The Firecat". The majority of this release contains "Teaser And The Firecat" tracks, solo acoustic and unadorned by overdubs or post production trickery. I have a feeling that these tracks were liberated during the compiling of the Cat Stevens box set in 2001. A similar thing happened during the construction of the John Lennon anthology. The Anthology made its appearance, along with an abundance of pirated material that was great for the public, not so much for the Lennon estate. Consequently, this is the grey area of bootlegs for collectors. Sometimes the music does not circulate without shady dealings happening somewhere down the line. It seems a fitting day to listen to some Cat Stevens, with a heavy frowning sky out the window, and a bite in the air. Cat's warm minstrel melodies can encourage the sun to break through a leafy sky on any dark day.The "9 Lives" recording begins with a crisp solo acoustic version of one of Cat's most popular and beloved recordings "Wild World". Immediately I am struck by the ambiance of the solo acoustic track. The sound quality on this collection is obviously very close to the master recording, if not a clone of the master. Stevens husky voice comes through my speakers unprocessed and true, with an emotion not heard on the officially released version. The ambiance of the recording allows me to experience every scrape of a string, and click of a plectrum. This is followed by the concert favorite "The Wind". This track features Alun Davies on a second acoustic guitar and is beautifully performed. But not as practiced as the tune would become in years to come. "The Wind" blows gently into track three which is the first of the completely unreleased songs on the recording. Making its debut on this collection, "Can This Be Love" is a song in progress. To my ears it sounds like a "Mona Bone Jakon" outtake with its deep reverberating bass line and intermittent lo-fi drum beat. A beautiful melody and a simple lyric, this track stands out as being not quite ready to come out of the oven, but tasty nonetheless. Regardless of its potential, the song was destined to languish in the vaults. Observe the beauty of bootlegs, where the lost is found. 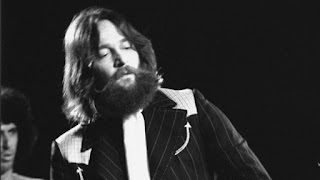 Meanwhile the recording continues with unique and sparse versions of Cat favorites like "Changes IV", "Katmandu", and "Morning Is Broken". All differ from their album counterparts in unique and personal ways. Following this triad the collection debuts another unreleased track, ""It's So Good". This song contains an unmistakeable Cat melody followed by a work in progress lyric containing, "It's so good, "nice", "hard", "fast", "slow". The track again shows great potential, and is proof of the strength of Cat's material during this era. Tracks like "It's so good" were left off of albums because the competition between other numbers was so great. One of my favorite tracks on the collection is the solo demo of "Tuesday's Dead", which sounds like a frigid evening campfire singalong with the Cat. The percussion of the released version is replicated here with Cat's knocks on his acoustic guitar and strident rhythm work. Everything I love about this collection is expressed in the beauty and intimacy of this performance. I feel like hand clapping and singing along is the only thing appropriate at this time. Consequently, the closely miked version of "Don't Be Shy" that follows contains the same features, hence the rarity and beauty of this imported collection. The rest of this collection contains stripped down versions of recognizable classics, such as "Moonshadow" which need to be heard to be properly appreciated. Special mention is required for the dual acoustic version of "Peace Train" which is toward the end of the track list. Following a false start Cat and Alun run through a exciting and loose recording of the signature Cat track. Cat's voice rises like smoke from a chugging train rolling down a peaceful track. Nearing its conclusion, one more unreleased track remains on the collection, this song being titled "The Fisherman". To me this acoustic track feels finished and ready to be placed on an LP. A clean performance, the atmospheric ditty smells of fish, and is moist with the sea air. Steven's concise biting guitar underpins the joyous, "Na na na na na" chorus. A great find.The three unreleased songs that support this collection are alone worth the search for it. The track list closes fittingly with "If you want to sing out", a lilting piano based demo, and a "Harold and Maude" soundtrack favorite. "9 Lives" is a crystal clear and unadorned document of one of the most respected and controversial singer songwriters of the last fifty years. Any fan of acoustic based rock or folk should hunt down a copy of this "stray" Cat. These songs I assert are best enjoyed by a open fire, or candlelight with plenty of time for contemplation. The performances contained within are a hole in the wall peek at an artist reaching the pinnacle of his career, while composing life defining songs. Curto seus Rock que estão sempre a mão em discos de vinil. Claro que também é muito bom aqui onde podemos compartilhar com os amigos. Thanks for reading! Here's a link to get the 'unofficial' CD. You can also find on the usual DL sites. Post here with your email if you would like the links.